My name is Judy Ann. I am in my senior year now, living with my brother for the time being. I am just a simple dreamer. I have always had a lot of dreams, and one of them is that I want to spread the joy in my heart by helping older people. Or, I would also like to help teenagers like me, or children, as long as I can help. I love helping older people because for me that is my way to find my passion. One of the things I love is to try new things in my life. 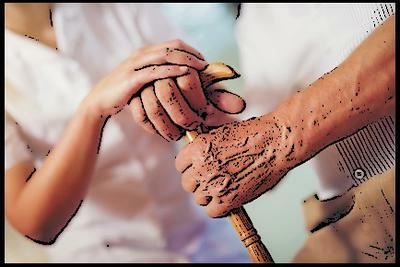 I am working now in home care, for homebound individuals. I am dedicated to help them and learn more about them and laugh with them and smile with them. Life is a lot of fun with them in my life. I am so glad that you know what you love to do, and that you are doing it. That is so very important to your happiness and success in life. Also, the fact that your chosen passion is helping others is quite moving to me. I'm impressed that at your age you find that giving and serving the elderly is very fulfilling to you. 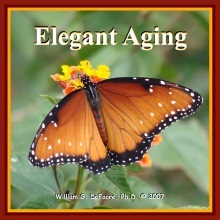 Because it is such a beautiful gift to the elders that you care for. I have seen many studies showing that caring for elders in the way that you do improves their health and their functioning in many ways. 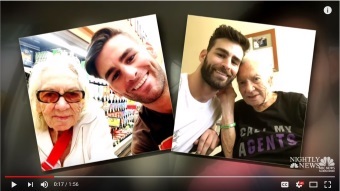 On my website, I collect stories and videos of good things, and I just wanted to share these two videos with you, that show good-hearted young people like you helping the elderly. I wish you all the best in your efforts to fulfill your passion! Join in and write your own page! It's easy to do. How? Simply click here to return to Happy Stories & Questions.